Help protect your family from the results of water damaged wet carpet from emergency flooding. Mouldy carpet and mildew can be dangerous to your health. Did you know an efficient domestic vacuum cleaner only removes a fraction of the dust, dirt, pet waste, mites and other allergens in your carpet? There are billions of tiny insects and dust particles in household carpets. Professional carpet cleaning can remove mildew, mould and dust mites reducing the risk of asthma and allergies in your family. Call us now on 0488 963 678. Professional carpet cleaning is an effective way to remove dust and pests which can contribute to allergies and asthma. It also restores carpet damaged by water, flooding and mould. Refresh Carpet Cleaner’s use safe, biodegradable, non-toxic and non-irritant chemicals and formulae. "With more than two million Australians (one in nine children suffering from asthma) it’s important that families consider dust mite reduction measures. Families with children are of particular concern as asthma is a major cause for visits to hospital by children, with the major triggers of dust mites, pet hair and mould. These triggers can be significantly reduced through the right cleaning techniques. Research has shown that 43% of people with hay fever report that their symptoms are triggered by dust, or dust mites." 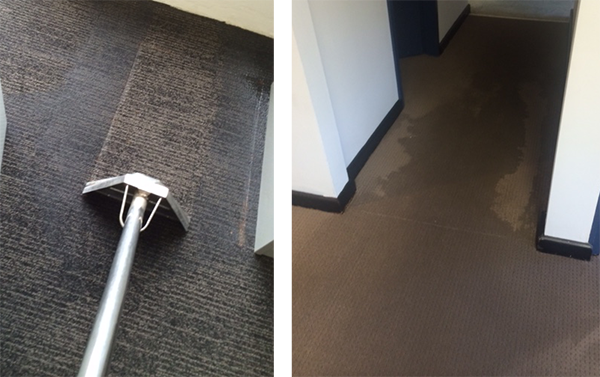 We offer first class professional carpet water extraction solutions across Sydney when it comes to carpet water damage, responding in less than one hour and offering same day drying services. 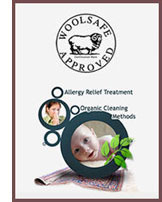 We have a fast response and best solution carpet drying policy, for all your carpet water damaged carpet needs in Sydney. We are 24/7 on call service for carpet water damage and carpet extraction drying services. We do carpet water damage from A to Z. Our wet carpet repair and carpet water damage restoration services in Sydney, include moving furniture away from water damaged carpets, carpet water extraction, carpet drying and free carpet drying equipment rental and set up, antibacterial treatment and insurance reports. You can expect first class water damaged carpet repairs and wet carpet cleaning every time with Refresh Carpet Cleaning. Our technicians are experts in using both carpet Steam Cleaning and carpet Dry Cleaning methods. Emergency carpet cleaning should be done by professional technicians who are fully trained. Our carpet water emergency technicians are certified and skilled in repairing carpet damaged by water and flooding, and we have our teams standing by 24/7 for all carpet and floor drying emergencies.